Looking for private in-home or in-studio Viola lessons? Our Woodbridge teachers are ready to get you started. Find your teacher today! Check out some of our most popular teachers near Woodbridge, VA including Washington, Arlington, Alexandria, Silver Spring and Gaithersburg. I do a variety of styles in music for the violin. I use whatever method (book or teaching style) is needed to teach what the student needs to learn.
. I can help you understand what is going on behind the music and hopefully see what the composer was hoping to convey, if that is something you want to know. When I was a student I always wanted to know "why?". As a teacher, you will know why if I do. I try to keep my lesson area as stress free as possible. It's OK to make mistakes in my studio. I would like you to bring a notebook to lessons as well as your music and instrument. I write as much as I can down because if you were like I was during lessons, I would forget everything I was supposed to be watching for after 3 days. Like I said above, we move at your pace. The more you practice, the faster we move. Questions are a good thing. It shows interest. But sometimes you just have to stop asking questions and just take the leap of faith. We start with note reading as well as proper form and the parts of the instrument. We also deal with general care. I will tune your instrument every time you come in for lessons until you learn how to tune it yourself. We will review the day before, I will check on what work you've done and then move onto the next song/ technique etc. After we learn how to pluck the first 8 notes, we start with scales and bowing. After that we move through the "usual" routine. Scale, etude, song(s) or school test songs, audition requirements etc. I try to keep the same routine because for some students it's easier for them to focus if they know the lesson is going to move in a familiar way. It's reassuring. After we become proficient in the basics, we move into whatever genre you would like to play, within reason. If you are in the school orchestra we will work towards you getting an A.
I would say I'm more laid back when you are not preparing for an audition. Auditions require a lot of work and I want you to do as close to perfect as possible. I become fairly demanding during that time. In about 6 months, you can play almost any tune you can hear on the radio. Explaining where you could be gets fairly technical and I might as well be talking like Charlie Brown's teacher. at the B studio: music, music stand, stool, piano, laptop, tuner, metronome. at home: music, music stands, chairs, computer, laptop, keyboard, microphone, tuner, metronome. at the A studio: music stand, chairs, laptop, tuner, metronome. pictures of the B studio are posted it's in Charles County of MD. The A studio is located in St. Mary's County of MD. The home studio is located in Charles County, MD. I am familiar with Paul Rolland's work, Valerie Bobbett Gardner's Violin Virtuosity, as well as Guillespie's. I was brought up Suzuki but haven't been trained in Suzuki. I have taken classes on how to teach to a variety of students so I could hold a teaching license in the state. I do participate with (Canadian) The Royal Conservatory of Music Music Development. This is active in the US also. Special note: If you are allergic to cats, you will want to take lessons at my other studio location, not at the home. IF you are contacting me with questions, please include either take lessons or lessons in the subject area so I can find you faster. I get a lot of junk mail and it is easy for me to miss a note from you. If you’re looking for a dedicated, knowledgeable and patient strings teacher, you will love Mrs. Heins. Both of my sons have been taking lessons from Mrs. Heins for several years (one for viola and one for cello). They have learned so much under her instruction, such as earning All-County and All-State honors. They also practice their live performance skills twice a year during informal musical concerts. Mrs. Heins also offers participation in the Royal Conservatory Music Development program, which can earn your child credit for college. She is a gem and should you choose her, you won’t be disappointed. She's very knowledgeable and patient even with an older learner. The art of melody and harmony. The importance of inner voices of the string family in quartet playing. Discover the role of the Viola as a solo instrument and within the orchestra. Raycurt J. aka "Fiddla", Violin-Viola-Voice-Piano-Rhythm-Dance and Event Productions. Native of Washington, D.C. began playing music at the age of seven on the piano. Singing in church choirs with family members and participating with the D.C. Youth Chorale. Began instruction on the Viola in the D.C. Youth Orchestra program. Auditioned and attended the Duke Ellington Performing Arts High School in the inaugural year. 1976. Music is the universal communicator, educator, healer, and conflict mediator. such as, science and mathematics. Mr, Ray's comprehensive 3 step courses. 1. Learn the basics of the music language, reading and writing. 2. COUNTING. keeping time, the ruler of motion in music. 3. Learn how to create beautiful melodies and syntax of song to discover the process of creativity with a structure toward musical thought. Also. effective personal practice techniques and the basics of Improvisation and Composition. It is well documented that exposing children to music and the creative arts is a prerequisite to fundamental logical thought processes and schematic reasoning. Recordings with artists and celebrities throughout the U.S. and Europe. Presentations of jazz and classical ensembles with rotating artists for hire of various genres of music. You may consider me a Triple threat as they say, Singer, Dancer and Entertainer. Natalie Cole, Bette Midler, and Carmen Mac Cray. Kammerorchester de St. Laurentius, in Dessau, Germany. La Fete Musique, World-wide Busking Society. Raycurt was very flexible in his planning, charming in person and very good (and patient!) with my six-year-old would-be drummer. Fantastic, very professional and well prepared. I can help beginning students on viola learn the basics. Hi, there! My name is Annie M and I can't wait to meet you! I've been teaching private lessons since 2005 and have loved helping my students grow as musicians, grow as people, and enjoy their instrument! I went to Saint Olaf College and earned a degree in Instrumental Music Education in 2005. I'm an energetic and fun person and my teaching style is positive, supportive, and inspiring. I look forward to helping you reach your goals! Annie is a wonderful piano instructor. She is very patient and makes you feel comfortable and confident as you attempt new challenges. The worst websit & experince. I wouldn't recommend for anyone!!! Annie is a very nice teacher! My son is 7 years old and has been doing great with Annie. Annie replied my emails in a timely manner. Most important of all, she always remind my son the right habit of the way to play violin at the beginning which I think is very important for beginners! She has a lot of patience and encouraged my son a lot! I highly recommend Annie for both young kids and adult students. Many years of teaching experience both in group and individual settings. I love encouraging students and fostering a love of music. I can teach classical as well as improvisation. I have played as a classical musician, both solo and orchestral, and I’ve played with numerous rock and folk bands. I played violin and viola for 20 years. Specializing in the beginner/intermediate violin and viola students! All ages are welcome. Lessons are customized and catered to the needs/goals of individual specifics. For my lesson you will building a strong foundation not only in technique but also in music theory, ear training, sight reading and more. Feel free to contact me! I am a professional violist and violinist. I played violin for 13 years and playing the viola for 7 years. I graduated from East China Normal University, School of Art with a Bachelor of viola performance and have the Master Degree at the Boston Conservatory at Berklee of viola performance. successfully participated in a the recital at his primary school. While in China, I maintained a studio of six students. 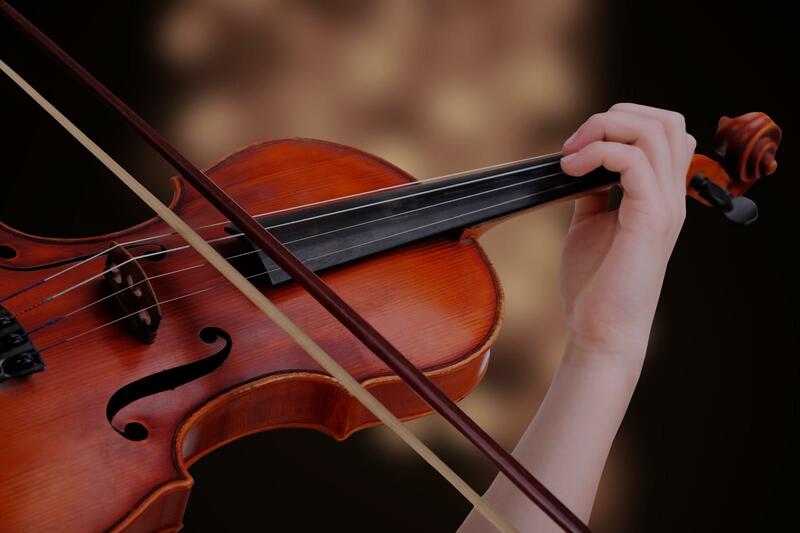 Under my guidance, all of them earned Chinese violin amateur grading certificates earned through performance and judging of scales, etudes, and solo repertoire. While teaching these students in China, I studied at East China Normal University, famous for their pedagogical approached to music education in China. In 2016, I won the first prize in the Concerto Competition at East China Normal University and performed a successful concert at the Shanghai Conservatory. As I was growing up, I always loved sharing what I have learned with others and led me to build passion for teaching. By sharing what I learned with others, not only I can improve myself as a musician, but also inspires both myself and students to have deeper understandings in music; interactions with students bring diverse and unique ideas which have shaped my passion for teaching music. Also, I believe that being a teacher is not only for teaching a subject matter. Rather, it is about guiding students to form their own philosophy in their life. I have never imagined becoming a musician if it was not for the teachers and professors that led me in my life and helped me to become who I am now; therefore, I would like to share my own experience and give it back to the students to help them to pave their own life. Can't find a teacher in Woodbridge, VA? even sparking her interest to play another string instrument! I cannot say how appreciative our family is of Ms. Heins and would certainly recommend her." Washington, DC teacher: Chris H.
"If you’re looking for a dedicated, knowledgeable and patient strings teacher, you will love Mrs. Heins. Both of my sons have been taking lessons from Mrs.
Heins for several years (one for viola and one for cello). They have learned so much under her instruction, such as earning All-County and All-State honors. They also practice their live performance skills twice a year during informal musical concerts. Mrs. Heins also offers participation in the Royal Conservatory Music Development program, which can earn your child credit for college. She is a gem and should you choose her, you won’t be disappointed." hat she enthusiastically practices between weekly lessons. This excellent learning experience would not have been possible without the high quality teaching. Our daughter has recently switched to Viola and I've no doubt she will continue to learn and enjoy learning from Humberto as she has already done with the violin." Washington, DC teacher: Humberto G.